You have less time to escape a house fire today than 30 years ago. Please view this video from the NBC Today Show to find out why. 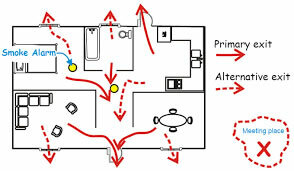 Visit the National Fire Protection Agency website hear to learn about fire escape planning. Contact the Burlington Township Fire Department Bureau of Fire Prevention at 609-239-5850 if you have any questions.